Sorolla was born on February 27, 1863 , this international Valencian artist shows in his art periods of Luminism, the Impressionism , very important for the artistic evolution that ends in Contemporary Art ,he was fascinated by everything that happened on the beach in Valencia, because it was something very vital , besides what was happening to him the scene of the stage, the sea , where light is multiplied . He used white as one of the dominant colors , he has managed to make his works have a unique brightness , a brand that distinguishes it from all others, it was placed in the sea to take note of everything that happened on the Valencia beach , and all the drawings he took inspired him a picture ,he made most of drawings​ outdoors ​​mainly in pencil and he put more water in the ink pen to give it a more painterly look. 2 Paseo a orillas del mar: o Paseo por la playa, uno de los cuadros más famosos, pintado por Sorolla en 1.909, oleo sobre lienzo, de estilo postimpresionista. 3 Verano de 1904: Estas escenas cargadas de luz donde conjuga niños y playa marcaron la estética que tan popular hizo al artista. Its fluid brushwork and color with which developed a genuine avant-garde style , tinting cultural and philosophical concerns of the time, he painted mythological , historical and social representations of the time. 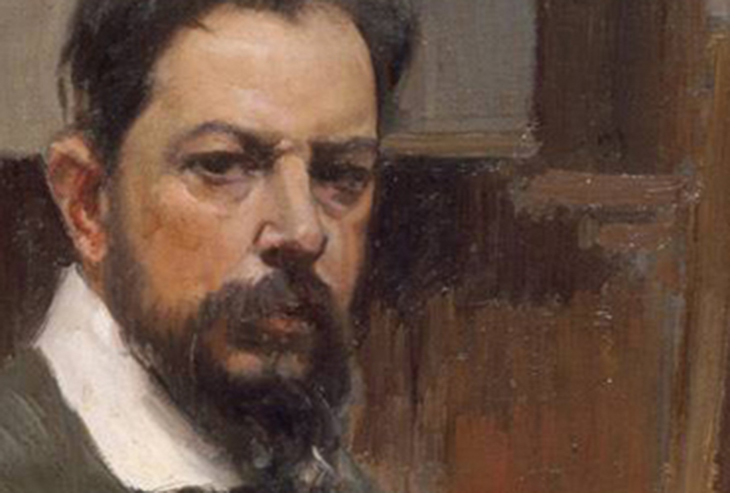 The Sorolla Museum in Madrid concentrates most of the objects that Sorolla gathered on life. where the artist work predominates, paintings and drawings , is the broadest and most representative collection is preserved . It comes from donations that his wife and children gave to the Spanish State to create the museum, and it increased in 1951 with the delivery of all goods by the son of Sorolla, Joaquin Sorolla García Since 1982 it has been increased with acquisitions made by the Spanish State to complete the collection. El Palmeral de Elche (1918. Óleo sobre lienzo, 350 x 231 cm. The Hispanic Society of America, New York), lo pintó para la decoración de la biblioteca de la Hispanic Society of America cuya sede se encuentra en Nueva York. El encargo le vino tras su reconocimiento como pintor a nivel internacional. La exposición, que constituye la muestra más completa dedicada a la faceta de dibujante del pintor valenciano, incluye obras de todas sus épocas de producción y está dividida en cinco apartados, como son el trabajo en el mar, barcas y bueyes, mujeres el mar, la alegría del agua y elegantes en la playa.